Arming the Aspen Institute with a distinct digital identity to engage a new worldwide audience. How do you translate the essence of The Aspen Institute into a best-in-class digital content experience? Design: A modern and minimal design system—inspired by Bauhaus style principles—features more images, videos and graphics. 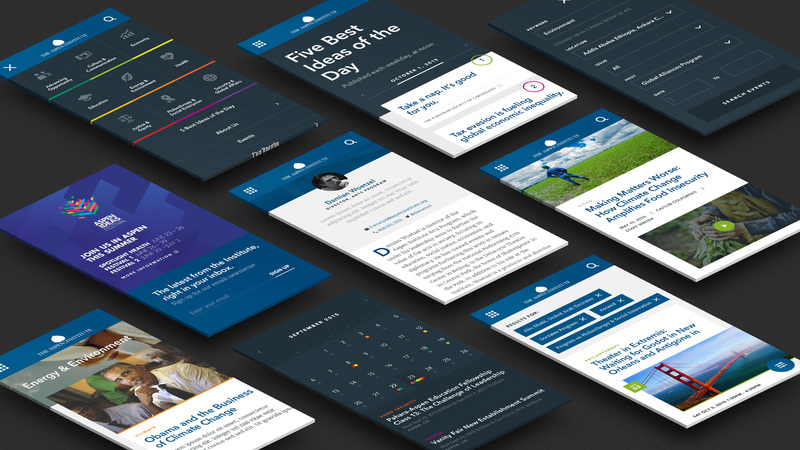 Flexibility: A fully responsive interface that works seamlessly across platforms to broaden the conversation. The Aspen Institute is a 65-year-old non-profit organization based in Washington, DC. Originally built as a place where leaders in business and government could gather to have thoughtful discussions, the Institute still carries an ethos that is rooted in open dialogue and collaboration for social good. Although the Institute has evolved over the years, its digital presence has not kept pace. The existing flagship site was outdated, unclear and suffered from a ton of drop off. 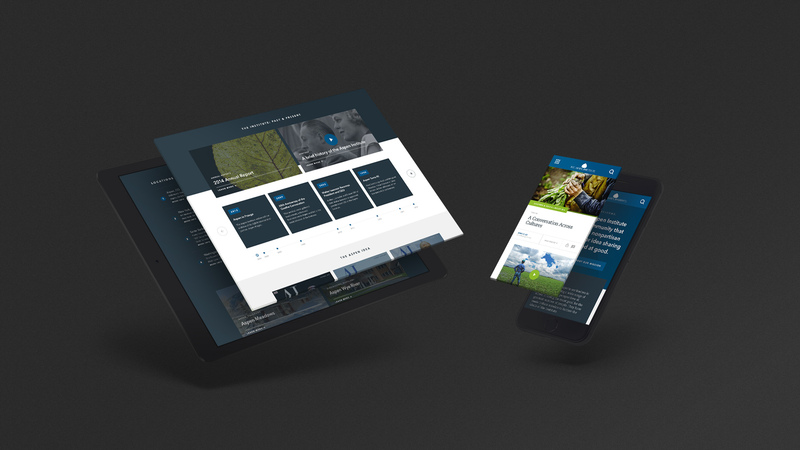 In order for us to develop an effective content strategy and digital presence that connects with a wider audience, we needed to start by defining a positioning for the Aspen Institute that was ownable, relevant and distinct. Through competitive audits and stakeholder interviews, we were able to understand where audience needs and Institute capabilities intersected. The new AspenInstitute.org gives audiences an inside perspective on the issues that matter most to them. We built a content hub that works seamlessly across platforms and serves as an entry point into the wide array of Institute activities and opportunities. We developed a content strategy that establishes the site as an online destination for thoughtful content, creates “serendipity” and evokes a sense of exploration once immersed. We also employed a minimalist design approach throughout the site to reflect the brand’s Bauhaus aesthetic. The modernized digital identity empowers the Institute to creatively and effectively share its ideas with a worldwide audience and engage with them in conversations that matter. The site was recognized by EveryAction as one of the “100 Best Non-Profit Websites of 2016.” By fostering an online community, we expanded the larger impact of the Institute and its ideas.